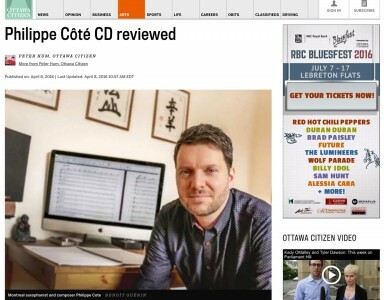 More than a solid debut disc that makes a good first impression, Montreal saxophonist and composer Phillippe Côté’s new album Lungta is a grand, sweeping accomplishment. Côté, 36, launched Lungta last weekend at L’Astral in Montreal, with his disc’s most recognizable star, the compelling New York alto saxophonist David Binney, taking part. The featured artist on Lungta, Binney also produced the disc and put it out on his Mythology Records label.